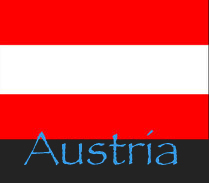 - Austria - The most complete website of Alice Cooper singles from everywhere ! Very similar to German singles... same Sleeves, same number, made in Germany BUT "Austro Mecana" stated on labels insted of "Gema" !! !